Moles can drive you nuts! Moles and their hills along with the problems they bring are on the increase in gardens, roadsides and farms around the Prestbury area. Therefore the use of a pest control service for the removal of this pest is now more common. Town & Country Pest Control are able to get rid of a mole problem that is both affordable and professional. They can drive you nuts! They are a nuisance, they are indiscriminate and able to dig up the most cared for gardens that will eventually become unsightly. If you're like most homeowners, you're probably confused by all of the conflicting "advice" on mole control. You believe every rumour, home remedy or control method is worth trying. In fact, chemicals and home remedies (including castor oil, windmills) are not only ineffective when dealing with moles, they will also allow the animals time to establish and become real problems. At Town & Country Pest Control we are able to control Moles with both Tradional and modern methods. This will depend on the environment, cost and best method to rid you of this pest. Traps - the only method for successfully catching moles, is to trap them using a variety of different traps. 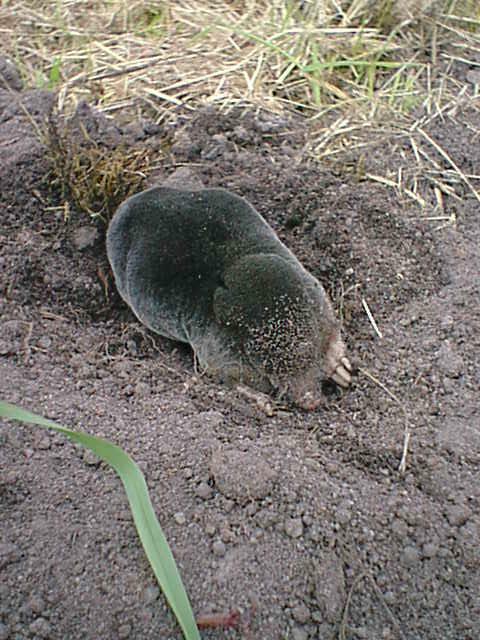 Once you have located a mole run, a trap can be placed inside the tunnel, which will trigger the closing mechanism when movement is felt inside the trap.